An 100-year-old upstate New Yorker officially died of natural causes on July 22, but some would argue that it was a broken heart that took his life just days after his wife of 78 years passed. Gilbert Orzell Drake died two days after his wife, Evelyn Bennett Drake, 98, died on July 20, also of natural causes, The Associated Press reported. Both Drakes died at their home in Delmar, a suburb of Albany, surrounded by family. The couple passed just shy of both of their birthdays – Evenlyn Drake would have turned 99 on Aug. 8, and Gilbert Drake would have turned 101 on Aug. 10, the family said. They were married on Oct. 13, 1939, just as World War II began to brew in Europe. Gilbert Drake was a World War II veteran, while Evelyn Drake ran a nursey out of her home called Playtime, according to an obituary for the couple. Evelyn was also the longest living member of the Delmar Reformed Church, which she attended her whole life. The couple is survived by their three children, five grandchildren and two great-grandchildren. 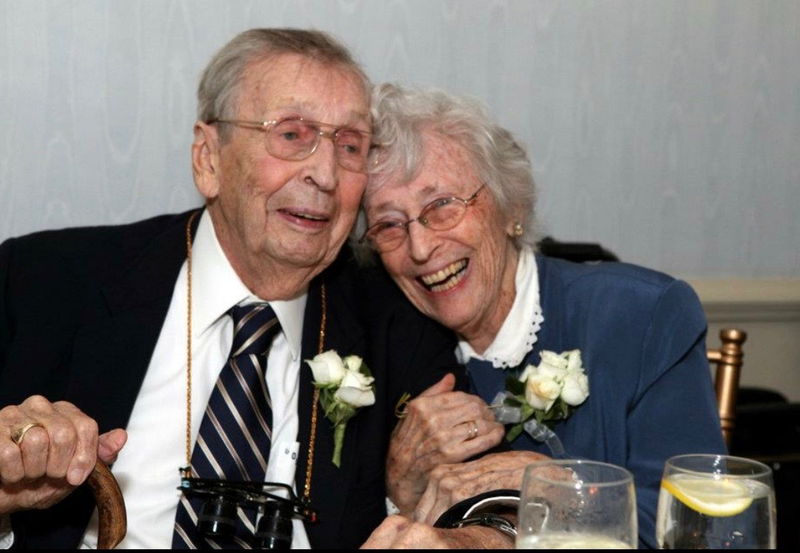 “There is no question, they were the most devoted couple and set a wonderful example of life and love,” the obituary says.